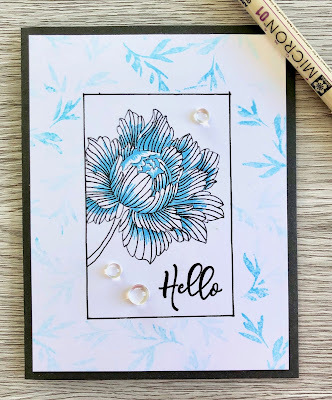 My first time participating in the Less Is More Challenge and it's a 1 layer card. 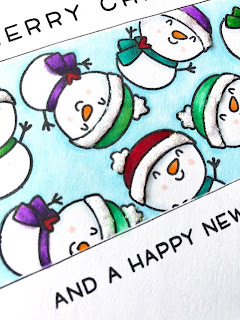 I recently purchased some 2" Post It tape and have been wanting to create a card with a masked off stamped area so this challenge was the perfect opportunity to do so! 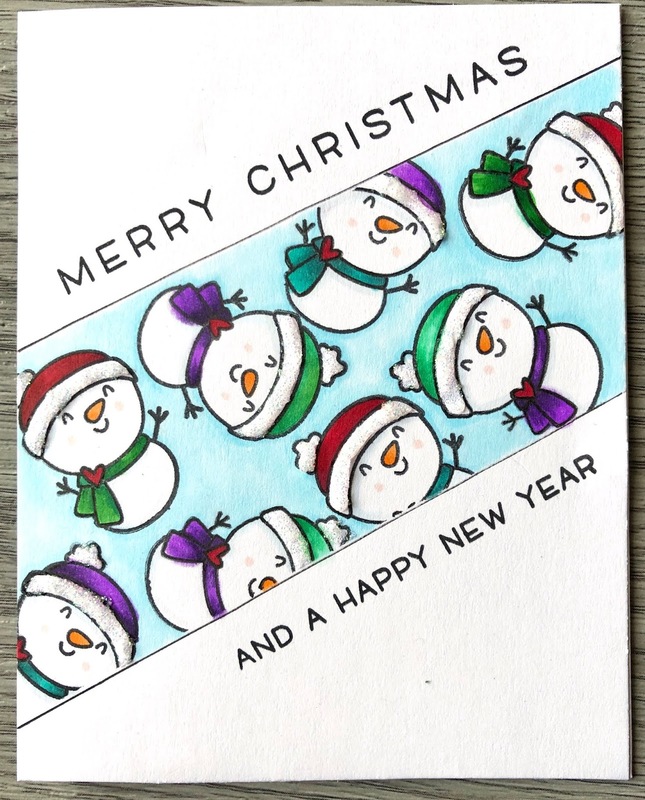 I placed 2 strips of Post It tape diagonally across the card front and randomly stamped the same snowman image from the Avery Elle Christmas Magic set. 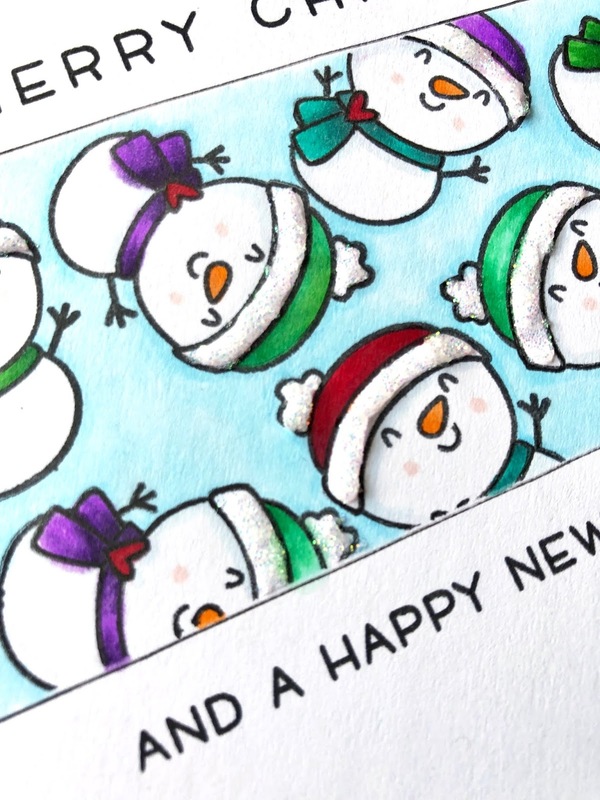 I then copic colored the snowmen and background, drew in the borders with a Copic Multiliner black pen and straight edge. A touch of sparkle on the hats is from Nuvo Glimmer paste and it covered a few areas of imperfect colouring as well. I really enjoyed this challenge and hope to play along again in the New Year. What a super fun and cute card. So much interest yet totally CAS. Those little snowman really make me giggle. Thanks for joining us at Less is More with this perfect card.